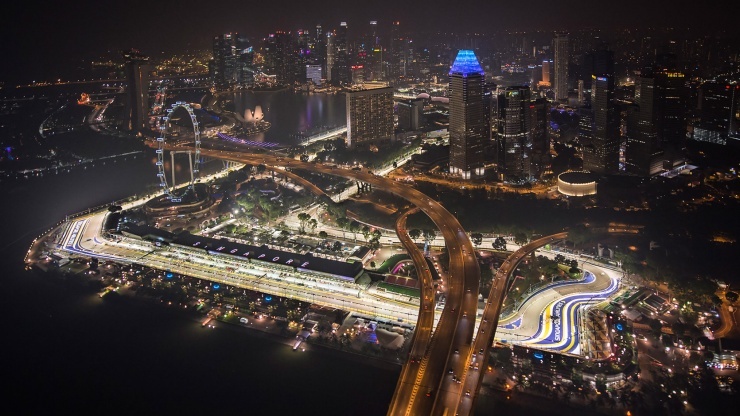 Singapore F1 Grand Prix with a little extra! 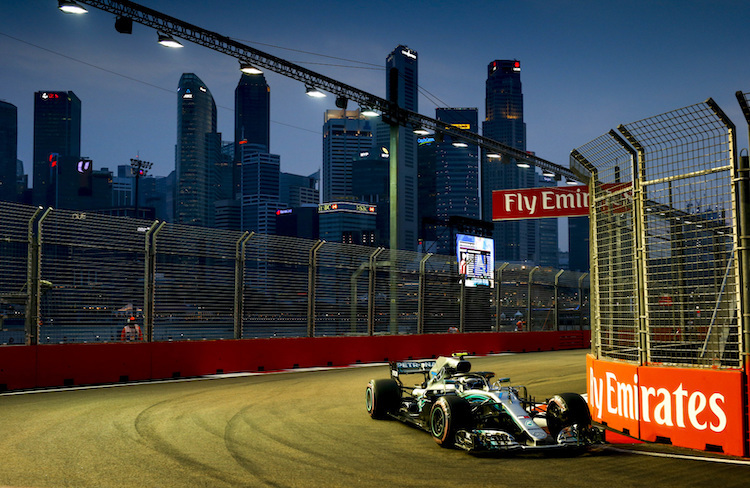 The Singapore Grand Prix takes place in the heart of the cosmopolitan city, and as Formula One’s original night race, it’s an event not to be missed. There are many luxury hotels and entertainment options in the clean, metropolitan city of Singapore, so you’re sure to find something to suit your needs. For the ultimate Grand Prix experience, choose a hospitality package for your weekend. We’ve looked at some of the best options available for 2017 – if you’d like to discuss booking a package for your Grand Prix weekend, contact us via our enquiry form and we’ll find the best deal for you. The Formula One Paddock Club is located above the Team Garages, providing the perfect location for prime viewing of the start/finish line, the paddock and the pit areas. This hospitality package is perfect for those looking for the ultimate luxury F1 experience. Guests will have every need catered for, with fantastic views, an open bar, entertainment, and fine dining options available throughout the day. When the racing is over, head to the Paddock Club Lifestyle area for live entertainment, more bars, and a spa to relax and unwind on your weekend break! Sky Suites are available for corporate and social guests, with an air-conditioned dining facility, premium open bar, and private viewing balcony with stunning views of the circuit and Singapore beyond. The Sky Suites offer one of the best vantage points for viewing the thrilling F1 Action unfold below, with the Sky Terrace providing particularly phenomenal views. Sky Suite guests will also be treated to the ultimate luxury experience, with service staff, the Paddock Club menu, and a complimentary bar with champagne, fine wines and beers for the perfect relaxing experience while you enjoy the race. The Club Suite hospitality package provides an up-close and personal view of the race track. Located on the lower level of the hospitality facilities, this option is for those looking to get right into the F1 action over the weekend with added luxury dining and comfortable viewing options. Club Suite guests will also have access to a range of amenities, including air-conditioned dining suites, an outdoor viewing area, gourmet cuisine options, and a premium bar selection. You can chose between Pit Straight, turn 1, or turn 2 locations, and suites can even be personalised for corporate parties. The Green Room provides a relaxed, informal setting for Grand Prix spectators who still want a little added luxury for their weekend. The room is equipped with an air-conditioned dining area with all-day international cuisine and an open bar with complimentary wine, beers, and non-alcoholic beverages. Lounge @ Turn 3 provides stunning views of the Formula 1 cars overtaking at Turn 1, before tackling Turn 3 full-throttle – guaranteeing great spectator watching! This is a great option for those who want to enjoy a luxury lounge experience while remaining close to the action on the track. The exclusive Amber Lounge Party is hosted by many Grand Prix locations around the globe, and you can experience it at the Singapore Grand Prix in 2017. The VIP package includes access to the party of choice for many drivers, teams and celebrities, with live performances and DJ’s keeping the party going until the early hours!